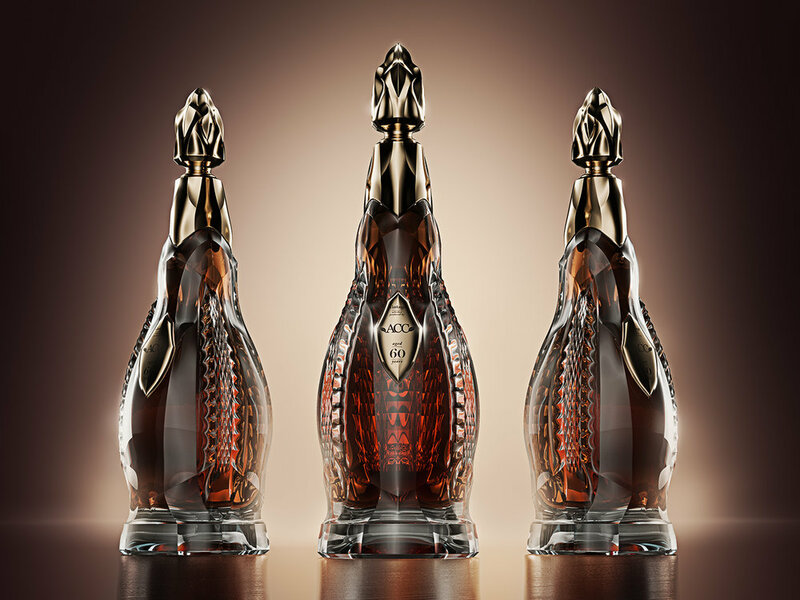 Luxury whisky bottle design for Connoisseur Group / ACC is a modified Supreme Cognac Bouteille design. The bottle will enter production in the glassworks Rogaska in Slovenia in 2018. Volume of the bottle will be 1 liter and whisky will be in the range of 60 - 70 years old. Bottle will be available for the private clients of Connoisseur Group / ACC.